Southern New Hampshire University forward Pierre Omanga, who also featured for GPS Portland Phoenix last summer, was named NCAA Division II Men’s Player of the Year on Thursday. 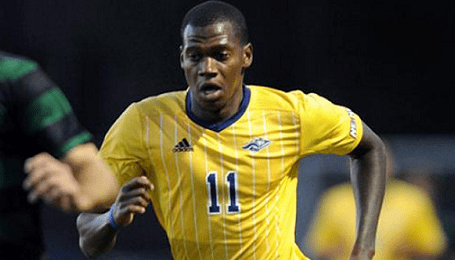 Omanga scored a Northeast-10 Conference best 21 goals in 24 games for the Penmen in 2013, and helped steer them to a Division II National Championship earlier this month. Last month, Omanga was named Northeast-10 Conference Player of the Year. He earned Player of the Week honors three times, and recorded six multiple goal games during the 2013 season. His 10 game-winning were critical to leading the Penmen to its second championship in school history. Prior to his breakout year at SNHU, the French forward spent the summer with GPS Portland Phoenix. In 13 games for the Phoenix, he scored seven goals and added two assists to help the squad reach the PDL playoffs. Omanga transferred from University of Montevallo (Ala.) to SNHU prior to the 2013 season.